This course takes a student beyond the basic physical construction of the Raga and Tala, and helps understand the aesthetic principles, which are later used for development during a performance. The course begins with a closer and more detailed look at the Raga, and explains the concepts of Chalan of a Raga, and the relative importance of musical notes used, through the Vaadi and Samvaadi swara. Later on, the course will explain the language of the Tabla, and how this is used to aesthetically structure the Awartan of the Tala. This also explains how the Tala is expressed as a Theka for a Khayal accompaniment. The two frames of the Raga and the Tala come together to form the Bandish, the composition. The course explains the need for this, and how this happens, with a lyric also being included in the composition. The continuous spectrum of the tempo of compositions, ranging from the slowest, the Vilambit, through the Madhya, on to the fastest, the Druta is explained through illustrations. We then go on to understand the internal structure of the Bandish, and how the Bandish becomes a tool for development during a performance. In addition to quizzes and assessment exercises, this course also contains practice lessons to reinforce concepts that are discussed. This course was developed in collaboration with Ragasphere and practical performance assignments are powered by MusicCritic. Understand the concepts of Chalan of a Raga, and the Vaadi and Samvaadi Swara. Understand how the Poorvanga / Uttaranga division of the Saptak becomes the guiding aesthetic principle behind development. Understand the internal structure and terminology of Tala. Understand the practical use of Tala as Theka for khayal development. Understand how the frames of Raga and Tala come together to form the Bandish, the composition, and how this becomes the platform for development. Understand the spectrum of tempo for compositions, from Vilambit to Madhya to Druta. 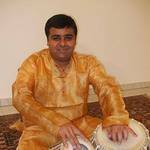 · Understanding of the language of the Tabla and the various Bols (the sounds produced by the Tabla, using its two parts, the Daanya and the Baanya). · Understanding of the structure of various Talas constructed using different number of beats in the Aavartan (the rhythmic cycle), and the use of hand movements. · Understand the concept of Theka, as used for accompaniment. · Understanding of how the artist expands on a basic composition, and the tools for improvisation and progression. · Understanding the continuous spectrum of tempos from the slowest to the fastest, and their appropriate use in the compositions. Nitin is an engineer by basic education, and a musician by chosen vocation. He spent the first 15 years of his working life as a marketing professional with a large MNC engineering company. Quitting his job to pursue his basic passion, music, as a performing flautist in Hindustani Classical Music, Nitin also obtained a Master's degree in music. He has conducted an immensely popular series of listener education workshops on Hindustani Classical Music. The workshops had a total attendance of nearly 10,000 music lovers. 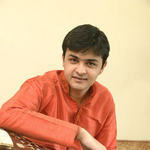 Sameehan is the son and disciple of one of India’s most renowned vocalists, Pandit Ulhas Kashalkar. Born in such a richly musical atmosphere, he has been receiving training of the highest order from his celebrated father since a very young age, and now has established himself as one of the finest musicians of his generation. He has given solo performances at various major music festivals in India and abroad, and is a recipient of many important awards. At the age of 37, Yashaswi has already been learning for more than 2 decades from one of the masters of Khayal performance, Smt. Padma Talwalkar. She has established herself as an artist of repute, with performances at many prestigious venues and conferences, and some important awards including the Sangeet Natak Academy award for young artists. Charudatta Phadke, a talented and dedicated tabla player, started learning at a very tender age. His initial training was under the guidance of guru Majgaokar and Rajaram Jadhav in Kolhapur, Maharashtra. He has further enhanced his art, since the last 14 years, under the expert guidance of Pundit Suresh Talwalkar. No prior knowledge of the subject, but an “ear for music”. Windows or Mac desktop or laptop with a microphone and speaker/headphones. The program aims to provide an understanding of the basic concepts and structure of North Indian Classical Music, to students and performers of other genres of music, and help them explore it vocally or on their instruments. This program will also prepare students of Hindustani Classical Music, both vocal and instrumental, to pursue learning from a teacher or a Guru. At the same time it has been conceived as a pilot course to test a new system of automatic assessment of music performance. The Music Technology Group of the Universitat Pompeu Fabra (Barcelona, Spain) has built the Music Critic Technology. This technology aims to facilitate the learner's assessment, making it more automatic and less human-dependent, it facilitates the subjective assessment by teachers by means of computing objective similarity scores from examples given by the teachers. Users under 18 years of age are not allowed to participate in this Course. Kadenze is collaborating with Universitat Pompeu Fabra to test this new technology in this Course. •	You will be asked to upload into the Kadenze learning environment audio recordings for your exercises. •	Kadenze will code your identity and send your audio recordings (without your identifier information) to Music Critic for assessment. •	Music Critic will evaluate it and will store your audio recording indefinitely with the aim of improving Music Critic systems. •	Music Critic will send the assessment of your audio recording back to Kadenze's learning environment, and the teacher will validate it. •	The teacher will ask you to post your feedback on this new system through a survey to be filled out anonymously and send to the Music Technology Group. •	As in any other course you do not have to do all the exercises or complete the course, but Universitat Pompeu Fabra would very much appreciate if you collaborate with us on this pilot. •	Your coded audio recording (without personally identifiable information) will be sent to Music Critic systems (Universitat Pompeu Fabra - Spain) for analysis and evaluation purposes. •	Your coded audio recording can be stored indefinitely in Music Critic systems with the purpose of improving the Music Critic technology. The Music Critic automatic assessment of your audio recordings will be sent back to Kadenze's learning environment to be reviewed and validated by the teacher of your course. Your anonymous feedback on the automatic assessment system will be sent to Music Technology Group. By registering to this course YOU CERTIFY that you are 18 years of age or older. •	Attribution 4.0 Creative Commons License (https://creativecommons.org/licenses/by/4.0/ ) ONLY in this case, Kadenze will send your audio recordings to Music Critic system with your first name and surname, so that you can be given appropriate credit. This course is also part of the Program: North Indian Classical Music, and you'll earn a verified Specialist Certificate after successfully completing the Program. 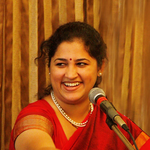 This course is part of the program: North Indian Classical Music. Programs unlock exclusive content (courses) that helps you develop a deep understanding of your subject.